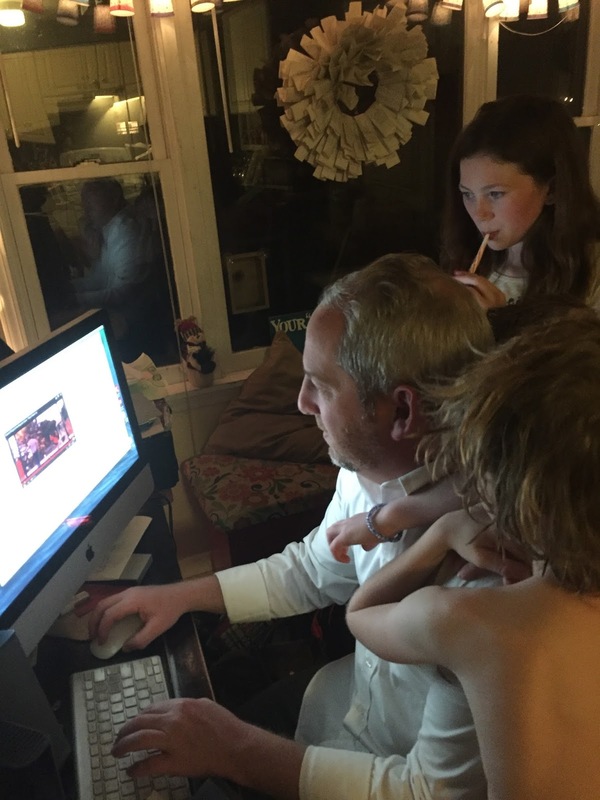 A few weeks ago Tim and the kids sat down at the computer and were looking at old blog posts I'd written. It was fun to go back through old posts and old pictures. Remembering is good most of the time. It's weird to see how small everyone was just a few years ago, sort of bittersweet. But it was just mostly sweet remembering and retelling the stories...it led to more remembering and more stories. When I was a kid I loved putting together picture albums for my family and how all of us gathered around them, looking, laughing and remembering. The computer is now like our old photo album. I know for sure that it's good to do some remembering with the family and I'm grateful I have this blog to help tell and preserve our stories. Ramona Forever! I loved Beverly Cleary books growing up. My parents gave me Ramona Quimby Age 8 on my 8th birthday and it was THE best gift ever. Even though my own daughter was all "eh" not so into them, I will always and forever love Ramona Quimby. In honor of Beverly Cleary's 100th birthday, a few of her books are being reissued with some pretty famous forwards. Here's one of my favorite forward quotes from Amy Poehler about our girl Ramona. Wade is a beast on the basketball court. This kid is fearless and so ready to play. He doesn't have a lot of support...lol. This video is LOVE. I've professed my love before for Dallas Clayton's work, but I hadn't seen this video interpretation of one of his books before and HOLY WOAH I LOVE IT!!!!! Seriously worth the watch. Beautiful stuff. An Awesome Book of Love from Furlined on Vimeo. Speaking of love, man I love Dax Shephard and Kristen Bell. I'm sure you've seen their Africa video. No? Watch it or rewatch it. It's awesome. Speaking of Dax, I miss Parenthood the TV show so much (um which Dax was on, remember?). I miss watching a TV show that made me laugh and cry and was about families. Waaaaa. I am over Shondaland. What do YOU know for sure this week?